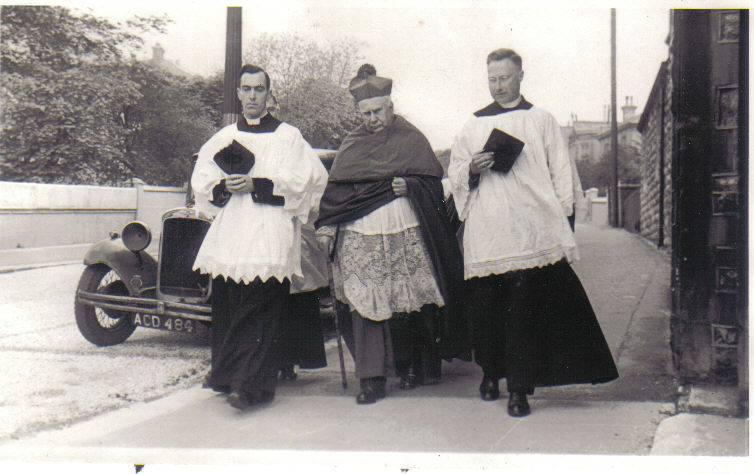 The Archbishop of Southwark, Peter Emmanuel Amigo, visited the church sometime between 1947 and 1949. I remember seeing him but I don’t recall the reason for the visit. Perhaps someone can enlighten me? Pictured left to right are Father Pepper, Archbishop Peter Amigo and Father Munns. Pictured left to right are Father Pepper, Archbishop Peter Amigo and Father Munns. I got married in this church on January 31st 1970. Love the picture. This is such a lovely picture, I remember Father Munns. When I was a child sick in Hospital, he was so kind to me, (he told my sister Jean and I to back Cambridge in the boat race). I really remember him with affection, did he die with a heart attack on a beach in Brighton?